Nanyang Technological University in Singapore is a research-intensive public campus with 33,000 students in its pre- and post-graduate classes. This is a place that exists on the very cusp of new technologies. Take, for example, its environmental stance: it has an impressive 57 Green Mark (equivalent to LEED) certified buildings on campus. So, why is a high-tech college on the other side of the planet important to North America’s professional woodworkers? 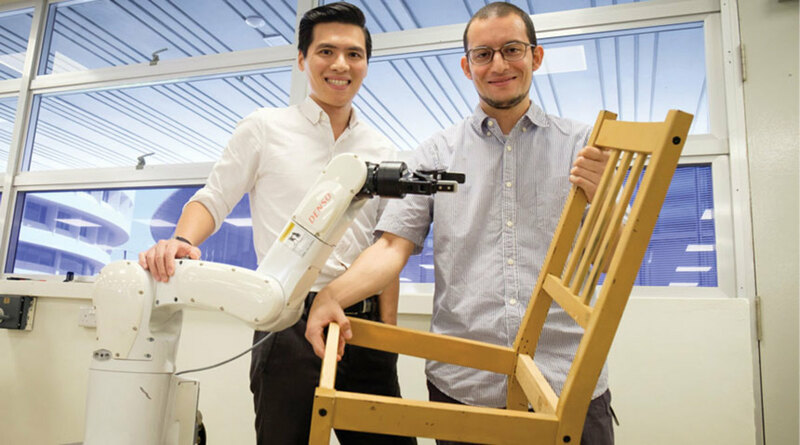 Because in April 2018, NTU scientists built a budget robot (shown at left) that can autonomously assemble an IKEA chair … in less than 20 minutes. According to the university, the robot was designed by assistant professor Pham Quang Cuong and his team from NTU’s School of Mechanical and Aerospace Engineering, and it’s essentially just a 3D camera and two robotic arms that are equipped with grippers to pick up objects. The team coded algorithms using three different open-source libraries to help the machine complete its task. It assembled IKEA’s Stefan chair in 8 minutes, 55 seconds. Prior to the assembly, the robot also took 11 minutes, 21 seconds to independently plan the motion pathways, and 3 seconds to locate the parts. So, how is this the future of outsourcing? We’re not looking at an array of huge super-computers here, or a full-blown Detroit-style assembly line. This is just two arms and a camera. It’s a very affordable, bare bones application of high-end technology to complete a low-tech, but still rather complicated series of tasks. To understand its potential impact, let’s take a quick look at the evolution of buying in parts. What outsourcing has done in the woodshop industry over the past 20 years or so is to allow small shops to deliver large-shop efficiency and a hugely expanded menu of choices to end users. That all progressed in very distinct stages. The first was the ability to order assembled drawer boxes, beautifully dovetailed and ready to finish, rather than building them one at a time with a router jig. Then came drawer fronts and doors, again ready to finish. Then there were foil and MDF advances, plus UV coatings and other choices that not only allowed the small shop to avoid machining, but also in large part finishing. Next came ready-to-assemble (RTA) casework, which used either metal or plastic hardware or milled elements that allowed small shops to order entire jobs in a flat pack and have them delivered directly to the jobsite. There, a team would undo the packaging, assemble the boxes, attach them to the walls and then install the doors and drawers. At that stage, assembly and installation were the only tasks left for the woodshop, beyond building the odd specialty item. Even moldings could be ordered in. Now, thanks to NTU, even assembly and installing are up for grabs. Low-cost, fast and accurate assembly by robots is a reality. And this means that on-site robotics, run by a simple phone app, are just around the corner. If you’re not a specialized woodworker (a top-end turner, carver, or maybe a design artist), this may well be a time to heed the advice of Geena Davis’s character in the movie The Fly. Your average woodworker is on the clock for about 2,000 hours a year. A robot can potentially work 24 hours a day, seven days a week. That’s 8,760 hours a year, or almost four and a half times the hours of a typical human. 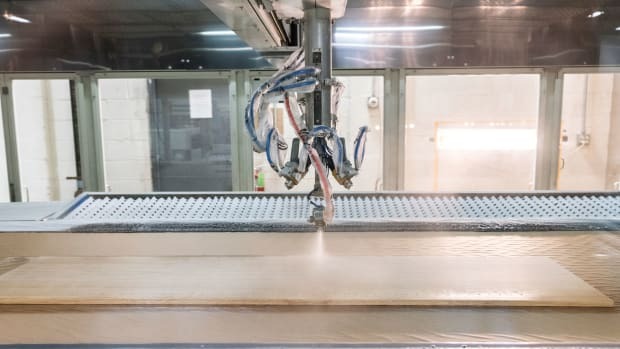 If a woodworker costs a company $50,000 a year in wages, benefits and related costs such as accounting and taxes, then a woodshop analyzing its payroll might logically decide that it can afford to spend up to $200,000 a year for a robot to replace four people. NTU’s solution is well under those numbers, so it begins to open up some interesting choices. 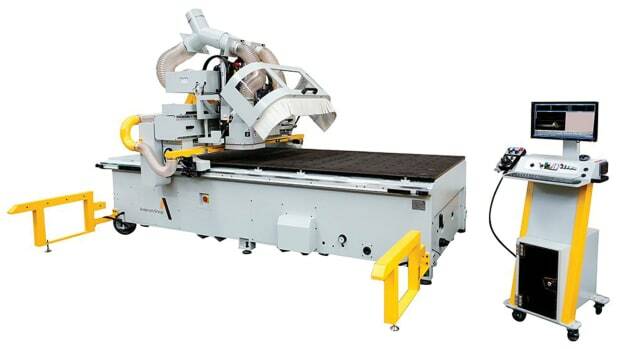 Do woodworkers and robots cost about the same to run? Well, the robot eats a little electricity and requires a bit of minor routine maintenance, plus it enjoys the occasional attention of a programmer. The woodworker, on the other hand, needs a heated and air-conditioned shop, general and task lighting, OSHA-regulated minimum working conditions, hiring, training, managing, shift supervisors, a shop manager, a lunchroom, bathrooms, health insurance, unemployment taxes, payroll accounting, etc. And robots don’t call in sick. It’s not going to happen this year, but robots on the jobsite are just around the corner. As the technology develops (for example, one critical area that needs a lot more work is regulating the amount of force their grip uses), the cost of these machines is going to follow a path established by virtually all of the other high-tech gadgets in our lives. They’re going to get cheaper. A lot cheaper. According to a spokesperson for NTU (online at ntu.edu.sg), its robot is being used “to explore dexterous manipulation, an area of robotics that requires precise control of forces and motions with fingers or specialized robotic hands. As a result, the robot is more human-like in its manipulation of objects.” The team is now working to deploy that robot to do glass bonding that could be useful in the automotive industry, and to drill holes in metal components for the aircraft manufacturing industry. But it began with a woodworking project. 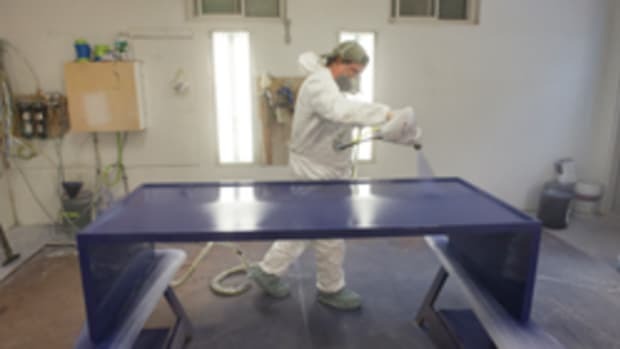 Another noticeable shift in outsourcing of late is a heightened interest in powder coating. One aspect of this solution over UV coating, paint, stain and clear finishes is a perception that it is tougher, and therefore should travel well. Shipped doors and drawers infrequently suffer a little damage, including scuffs due to loose packaging, and that apparently is causing some cabinetmakers to warm to the idea of a more resilient topcoat. A powder-coated finish won’t delaminate, peel or crack, according to Integra Doors (integradoors.com), which supplies both raw and powered coated MDF doors, drawer fronts, moldings and other wood components. 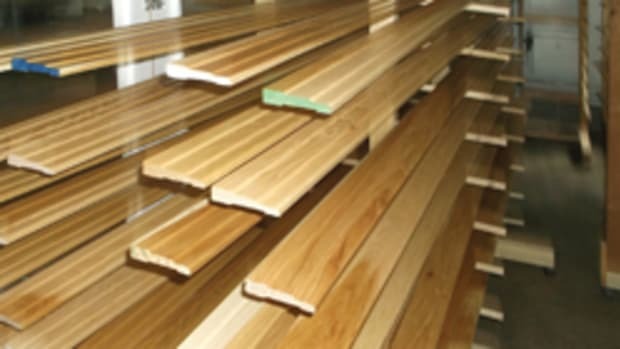 Woodshops looking to outsource are able to choose from more than 320 door styles in virtually any color. There is renewed interest in other surfaces, too. For example, in late January ACS (atlantacabinet.com) launched a new line of contemporary cabinet fronts that includes both Shaker style (5-piece) and slab style door and drawer fronts, all available in high-gloss acrylics and textured TFL. According to company president Don Clements, the new generations of these materials “are amazing, and are beginning to rival solid wood in appearance.” ACS now offers more than 30 material choices, including 10 high gloss options. The company uses zero-edge technology for a visually seamless edge. Depending on the material selection, the new products’ core material is either MDF or particleboard, and all of the substrates are Carb 2 compliant. 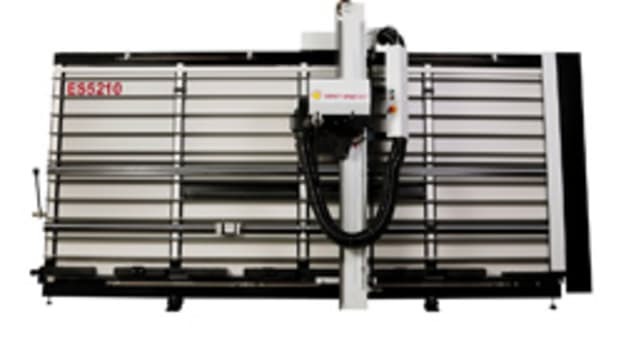 The biggest challenge for woodshops looking to outsource is not so much a lack of choice, but too many options. As market forces drive choice, consumers have moved more and more to a sleek, contemporary look. But many outsourcing suppliers are still concentrating on more traditional, solid wood solutions. The slow pace of change is in part due to a perception that tastes fluctuate and will soon bounce back to a more tactile, natural look. But it’s also rooted in the reality that many of those suppliers are heavily invested in technologies, software and processes that can’t switch gears as quickly as the whims of the kitchen-buying public. 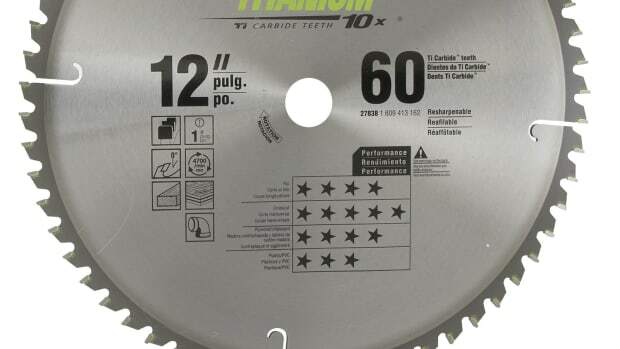 One of the less celebrated but fundamental advances in outsourced parts, especially as woodshops order more components, is the ability of the factory to mark parts according to the woodshop’s instructions. The elements of a cabinet or a piece of furniture often need to be identifiable in such a way that the assembler can find, orient and assemble the casework quickly, and do so without the end-user seeing a path of clues. That ‘printing’ is done with mechanical or laser etching or engraving, or by printing on paper labels or directly on parts, or more and more frequently now by non-contact laser marking. Many of the larger outsourcing suppliers have created custom libraries of cabinets, and these have been available for CAD programs for a long time. So, adding an app that allows a woodshop to include its own marking isn’t a huge challenge. Among the advantages of being able to mark parts before the job is handed off to an outsourced supplier is that a shop can develop its own lexicon, and train people accordingly. Sometimes, industry standards don’t work well for a custom shop. For example, a shop that builds casework for recreational vehicles or yachts will have different nomenclature than one that builds furniture for health providers. Being able to mark components in a familiar language can help avoid mistakes and save time on assembly. 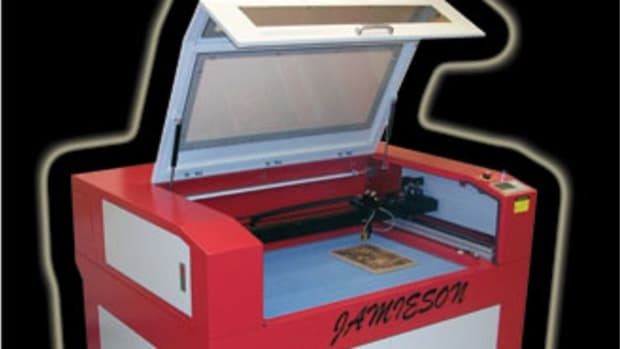 Unlike engraving, laser marking doesn’t actually create a depression in the wood surface. What it does is heat the very specifically targeted fibers until they change color and become visible. Many engraving systems can also do marking. And that marking can be done on the edges of boards, on flanges or in grooves, and of course in other less noticeable traditional areas such as cabinet backs and drawer bottoms. What’s different here is that laser marking is extremely precise, so it can be used on Tab A and Slot B, even when those integrated elements are very small. So, boxes that clip together with milled joinery elements rather than mechanical fasteners can carry essentially invisible markings. Plus, the markings are distinct enough in terms of print quality that they can be read not only by a human eye, but also by devices such as the robot on the NTU campus. The process is cleaner than it used to be, too. There are no inks or chemicals required, and the amount of electrical power needed, especially for fiber lasers, is fairly minimal. The technique is very safe, and easy to include in a manufacturing process. In April, Science Daily (sciencedaily.com) reported a disturbing finding from the American Chemical Society. Recent studies by that body have discovered the re-emergence of something evil from our past – polychlorinated biphenyl compounds, also known as PCBs. According to the Environmental Protection Agency (epa.gov), these carcinogens are a group of man-made organic chemicals consisting of carbon, hydrogen and chlorine atoms. The agency notes that PCBs have been shown to cause cancer, as well as a number of serious non-cancer health effects including: “effects on the immune system, reproductive system, nervous system, endocrine system and other health effects.” Because of that, they were banned in 1979, but prior to that they were used extensively in adhesives and coatings. According to Science Daily, Dr. Keri Hornbuckle (a professor of civil and environmental engineering) and her team from the University of Iowa’s College of Engineering wanted to determine how much and what types of PCBs are present in and around the average American home. They spent six weeks in the fall of 2017 sampling air in and outside 16 typical Iowa homes. The article reports that they found three neurotoxins at much higher levels than expected. The highest presence was in finished kitchen cabinetry. So, what has this to do with outsourcing? Well, beyond the fact that this chemical is still being used (the EPA lists 79 suppliers worldwide, 51 of which are in China), it serves as a warning sign for shops with overseas outsourcing suppliers. Not all countries observe the ban on PCBs, or monitor and control formaldehyde levels, so a woodshop that is ordering casework or components from an overseas supplier needs to really think about potential downsides. Remember the Chinese drywall problem in 2009? Countries making plywood or MDF, foil, coatings and adhesives in relatively unregulated environments can pass along pollution problems that often rear their ugly heads only after the products are installed in homes, or sometimes many years later. One of the most perplexing aspects of modern manufacturing is how another country can buy logs in North America, saw them in Asia, build components there and then ship them back across half a globe – and do all that for less money than a homegrown supplier can. The most obvious answer is, of course, labor costs. And the difference there is indeed profound. But there can also be other troubling aspects to outsourcing from large off-shore suppliers. And let’s preface that by saying that these trends are not universal: not all foreign suppliers take short cuts. But there are enough who do that a woodworker should take note. 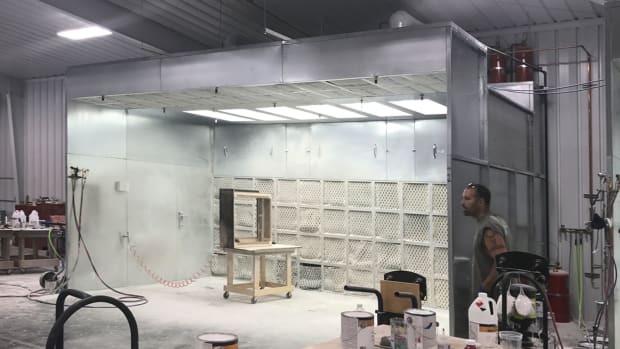 If a cabinet shop is tempted to order low-cost completed parts from overseas, that process should perhaps begin by learning about local or regional rules on the manufacturing process itself, such as the generation of volatile organic compounds (VOCs) and hazardous air pollutants (HAPs). But one should also do some research on the brands and chemical components in adhesives, preservatives, coatings and even plastics that are being used to build outsourced components. One of the few downsides to outsourcing is the fact that a woodshop puts its own brand on something produced elsewhere, and thereby owns not only the cost savings but also the hidden perils. Ordering from a producer in a highly regulated and monitored manufacturing zone such as the U.S. or Canada can substantially reduce such risks. In December, three companies with CNC connections got together and presented a productivity workshop in California.